Biola University’s faculty has grown by 24 this fall, including two new deans —Gary Lindblad, dean of Biola’s Crowell School of Business, and Bulus Galadima, dean of Biola’s Cook School of Intercultural Studies. The new professors vary in interest and expertise from synthetic organic chemistry to writing screenplays. Learn about them below and read their thoughts on the value of Christian higher education and the significance of a strong foundation in their specific fields. Bulus Galadima was born in Jos, Nigeria. His B.A. is from Jos ECWA Theological Seminary, Nigeria (JETS). He has an M.A. from Wheaton Graduate School and another from Northeastern Illinois University. His Ph.D. is from Trinity International University. He has been serving at JETS since 1994. He started as a lecturer, then served as academic dean and president. He served as a pastor in Nigeria and the United States. He is married to Rose. They spent half of their adult lives in Nigeria and the United States. They started Almanah Rescue Mission in Jos, a ministry to empower widows and orphans. They also worked with Entrust in Colorado as educational consultants preparing curriculum to train Christian leaders in Africa who cannot quit their jobs to attend seminary. Galadima is active in theological education in Africa. He and Rose have three sons and one daughter: Atsen, Abi, Arum-Jugu and Atu. They also have three grandchildren. Kenneth Nehrbass worked with a group of leaders in the island nation of Vanuatu (South Pacific) to translate the New Testament with Wycliffe Bible Translators (WBT). His received his Ph.D. from Cook School of Intercultural Studies in 2010. He volunteers as an anthropology and translation consultant with SIL/WBT. He is married and has four children. 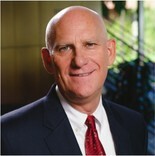 Gary Lindblad is dean of the Donald and Suzanne Crowell School of Business at Biola University. He earned a B.A. in English and education from the State University of New York, College at Fredonia, and M.A. and Doctor of Education degrees in higher education, work and organizational change from University of California, Los Angeles. In addition, Lindblad has an M.A. in Christian education from Talbot School of Theology at Biola University. Lindblad’s commitment to education spans more than 35 years, and includes teaching junior high, high school, undergraduate and graduate students. 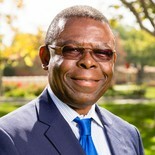 Prior to returning to Biola, he served for nine years as assistant dean and director of the MBA and M.S. programs at the Paul Merage School of Business at the University of California, Irvine. From 2002 to 2005 he was assistant dean and executive director of MBA programs at the Rotman School of Management, University of Toronto. From 1998 to 2002, he was an assistant dean and director of the MBA programs at the Carlson School of Management, University of Minnesota. Lindblad began his career in business schools as associate director of the executive and fully employed MBA programs at the Anderson Graduate School of Management at University of California, Los Angeles, in 1992. From 1983 to 1989, he was the director of student ministries at Biola University, directing ministry outreach programs for undergraduate students. His doctoral dissertation researched innovations in the use of computing technology in business school education. He and his wife, Cindi, have been married for more than 35 years and have two children, Matthew and Grace. They attend Mariners Church in Irvine. Lindblad serves on the board of YUGO Ministries, a missions group serving the people of Mexico. John Poston teaches courses related to personality theory, psychodynamic theory and psychological assessment at Rosemead School of Psychology. He completed his doctorate in counseling psychology at Purdue University and completed a postdoctoral fellowship in clinical psychology at Albany Medical College/Albany Medical Center, which emphasized psychodynamic psychotherapy and assessment. His current research and teaching interests include psychodynamic psychotherapy, psychological testing and the integration of psychology and theology. 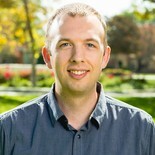 Poston lives with his wife and their two children in Fullerton, Calif.
Nicholas Block received his doctorate from Claremont Graduate University, an M.Div. from Fuller Theological Seminary and a B.A. from Stanford University. He also holds various teaching credentials (multiple subject, single subject in science and social studies, and a Bilingual Certificate of Competence). Block began his career in Bogota, Colombia, but has worked most of his years in United States public schools, teaching grades three to five in a variety of language settings. While concerned with all subject areas, his recent teaching in East Los Angeles concentrated on issues of vocabulary development as a basis for reading comprehension and writing growth. Past research in dual language education, as well as decades of experience as a bilingual educator that includes 26 years in Montebello Unified School District, contribute to his concern that students grow as expert users of language. Block has also been involved in theological education in Los Angeles, Colombia and Rwanda. Whether supporting new teachers in teaching words or new pastors in teaching the Word, his greatest desire is to help others be fruitful in their calling. Ben Nworie holds a Ph.D. in special education, with emphases in emotional and behavioral disorders, as well as clinical psychology. He has been involved in education for more than 25 years with K–12 to college teaching experience. In the 1999–2000 school year he was named Teacher of the Year in Dallas, Texas, because of his teaching effectiveness and contributions in the special education field. Nworie is skilled in teaching and counseling. He is highly committed to his student’s welfare and academic success. 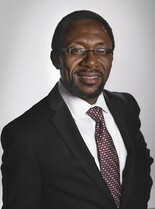 Nworie was the chief executive officer of Shiloh Counseling Services in Mesquite, Texas, for nearly 10 years. In this capacity, he gained experience in leadership, administrative, clinical and therapeutic skills. He has served as a pastor in Southern California for several years, and has helped to plant and grow churches. He served in the last nine years at Azusa Pacific University, where he was a professor of special education at APU’s School of Education. While there he also served as director of the Office of Faith Integration from 2010 to 2012. Nworie loves learning, and has a keen interest in helping others to learn and be successful in their calling. 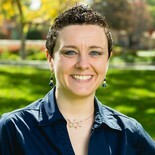 Denise Reid has her Ph.D. from Chapman University, an M.S. from California State University, Fullerton, and a B.A. from California State Polytechnic University, Pomona. She holds a Multiple Subject Teaching Credential and has decades of experience in providing educational accommodations to students with disabilities. While equal access to quality education for students with disabilities is of concern, her recent research focuses on tensions experienced by college students as they negotiate their disabled and non-disabled identities. Past research on strategies for the successful transition from high school to college and college success contributes to her concerns that students with disabilities acquire self-advocacy skills and academic success during their K–12 experience. 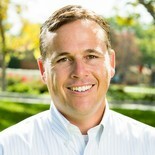 Since 1998, Reid has served as an adjunct instructor at various universities. Whether she is educating teachers on academic accommodations, attentively listening to a parent share concerns regarding a diagnosis, or meeting the needs of the less fortunate, her greatest desire is to help others mature in their walks with Christ. Kate Ball is excited to join the faculty at Biola, her alma mater, after serving the Department of Biological Sciences for a year as an adjunct. Originally from southern California, Ball lives in La Mirada with other Biola alumni, and has four cats and two turtles. For her M.S. at University of California, Irvine, Kate studied the preferential RNA-protein interactions of ICP27 in Herpes Simplex Virus-1. She plans to continue her studies in microbiology and molecular mechanisms of gene expression at the doctoral level in the near future. Ball is passionate about working with students to help them achieve academically, grow personally and appreciate God’s elegant world. 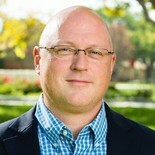 Brian Cannon comes to Biola from Honolulu, where he worked as a faculty member and chair of the multimedia programs at Hawai‘i Pacific University. Cannon received his doctorate in communication from Regent University in Virginia. Before beginning his Ph.D., he lived in Moscow, Russia, for about a year and a half, as a team member in the CoMission Project. Cannon also taught at Eastern Illinois University, his alma mater, as an instructor in the journalism department and then worked as a photojournalist for a newspaper in Arizona. He also studied photography while doing coursework at Brooks Institute in Santa Barbara. 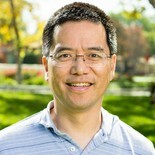 Jonah Chang was born and raised in Canada, but eventually immigrated to Southern California to pursue his doctorate in synthetic organic chemistry. 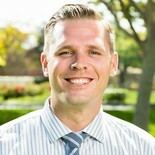 After teaching stints at both University of California, Los Angeles, where he received his doctorate, and Santa Monica College, he is eager to join the Christ-centered community at Biola University. When he is not in the classroom expounding the wonders of the molecular world, he can be found at Alhambra Christian Fellowship in Alhambra, Calif.
Tom Copeland is an associate professor of political science, focusing on international relations, free market capitalism, national security, intelligence, and terrorism. He received his M.A. and Ph.D. in public and international affairs from the University of Pittsburgh, and his B.A. in political science from Geneva College. He spent more than a decade in Washington, D.C. working alongside U.S. and foreign intelligence, as well as with law enforcement agencies, with the media, consulting firms, the U.S. Navy, and information giant LexisNexis. He now serves on the faculty advisory board of the Values & Capitalism project at the American Enterprise Institute, and was a 2010 fellow with the Foundation for the Defense of Democracies. He lives in Corona with his wife and two children. 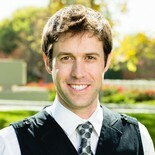 Matthew Ingle grew up in Southern California and attended The Master’s College, where he received a B.S. in biology, with an emphasis in cellular and molecular biology. While at The Master’s College, he was headed toward attending medical school before realizing he was far more interested in genetics and ecology than he was in medicine. After figuring this out, Ingle went to Loma Linda University for both his M.S. in natural sciences and his Ph.D. in biology. His research interests are in the areas of genetic health, behavioral ecology, parasitology, phylogenetics and herpetology. Prior to joining the faculty at Biola, he served on the faculty at Cedarville University in Cedarville, Ohio. He and his wife, Jordie, have two children, Reagan and Liam, and are very excited about returning to live in California. Michael Jimenez holds a B.A. from Biola University and M.A. and Ph.D. from Fuller Theological Seminary, where he just completed his dissertation on Swiss theologian Karl Barth’s reading of the Religious Enlightenment. Because of his interests in history and theology, he utilizes an interdisciplinary approach in both his writings and in the classroom. 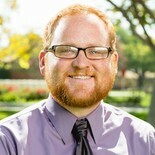 While he was working on the doctoral program, he taught history at Biola as an adjunct these past few years. Michael’s free moments of the day consists of spending time with his wife, Lluvia, and his two young boys, Lucas and Raylan. Andrea Olsen Lam teaches courses in the history of art, with a focus on how theology, liturgy and religious practice shape the visual culture of historical societies. She also led the art department’s study-abroad trip in Japan in 2014. Lam specializes in ancient and medieval art, and her research interests encompass the art and architecture of Christian pilgrimage, private devotional arts and the history of the medieval icon. Her doctoral work addressed the popularity of Mary’s pregnancy in Byzantine art, liturgy and culture, while her current research comprises the first-ever study of the numerous early Byzantine and Coptic textiles in Japanese museum collections. Lam earned her Ph.D. in art history from Johns Hopkins University, an M.Div. from Yale University’s Institute of Sacred Music, Religion and the Arts, and her B.A. from Pepperdine University. Andrew Mauzey earned a BFA in film/TV at New York University’s Tisch School of the Arts and an M.A. in English and MFA in creative writing at Chapman University. He belongs to a number of academic organizations, including the Southern California Writing Centers Association, the Samuel Johnson Society of the West, The Association of Writers and Writing Programs (AWP) and the Conference on Christianity and Literature. His scholarly interests include composition and rhetoric, 18th century British literature, and studies in contemporary film and drama. He has worked in a variety of roles with a number of entertainment groups, including Nickelodeon, TBS, MTV, Cosmic Entertainment, Make a Film Foundation and Ireland’s Hot Press Magazine, and he occasionally teaches screenwriting for Relativity Education, a division of Relativity Media. Mauzey, his wife, Becca, and their daughter, Amelia, attend St. Mary Magdalene Anglican Church in Orange County, where he serves as music director. He also composes music and writes poetry. 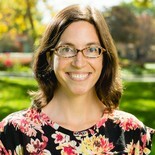 Ruth Mills Robbins is an instructor in the history department for the 2014–15 school year. While born in Michigan, Robbins was raised in Cote D’Ivoire. Upon graduating from high school, she returned to the United States to attend Occidental College, where she received a B.A. in English. After earning her B.A., Ruth worked as an accounting clerk, copywriter/secretary and junior high teacher. Drawn back to an early love for history by research for a novel in the course of getting a Master of Professional Writing degree from the University of Southern California (2002), she returned to school and studied the history of monasticism in the 10th century, earning her Ph.D. from USC in 2010. When not at Biola, she spends time with her family, helps at her church, or works on writing articles on Abbo of Fleury, the focus of her dissertation. She has two children and her husband, Steve, is a pastor. 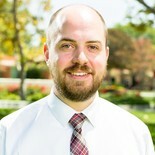 After graduating from Biola, Jonathan Olson spent several years researching and teaching in England, where he held Leverhulme and Mellon fellowships. His research is centered in the material forms of textual performance in early modern English literature and contemporary cinema. Informing literary interpretation with book history and critical bibliography, his scholarship has focused on Spenser, Milton, title-pages, reprints and the early modern book trade. 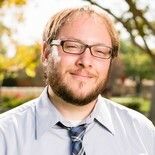 At Biola, Olson enjoys teaching both literature and film, and is currently writing a monograph on how London booksellers shaped a vernacular literary canon in the 17th century. Anneke Stasson grew up in Olympia, Wash., and is thrilled to be returning to the West Coast after living for eight years in Boston. She received her B.A. in English from Calvin College and her M.A. in church history from Regent College in Vancouver, B.C. Most recently, Stasson received her Ph.D. from Boston University, where she studied the history of Christianity, global Christianity and the history of missions. Her dissertation was on 20th century missionaries and marriage counselors Walter and Ingrid Trobisch. Her current research continues to address the relationship between Christianity and cultural conceptions of gender, marriage and family life. Stasson and her husband, Stevie, have three daughters, Mary Lou, Eleanor and Ruthann, all of whom enjoy swimming, hiking, cooking and reading. 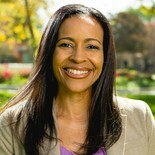 Camille Tucker received her M.A. in theology and film from Fuller Seminary. 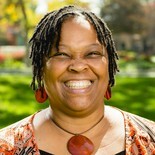 She did her undergraduate work at University of California, Los Angeles, where she received a degree in English literature with a minor in creative writing. She has sold screenplays to Sony, Universal, New Line, Fox TV and Disney studios and has worked with producers such as Robert DeNiro, Jane Rosenthal, Marc Platt, Todd Garner, John Singleton, Debra Chase and the late Whitney Houston. She has produced six short films that have screened at the Sundance, Heartland, Pan African and San Luis Obispo film festivals. She won Best Narrative Short at the 2013 Roxbury International Film Festival with Cellular, a short film that she wrote, directed and produced. She has also been a semifinalist in the Nicholl Screenwriting Competition and a two-time Sundance Writer's Lab semi-finalist. At Fuller, her primary focus was on Imago Dei in relation to the portrayal of women in Scripture and cinema. In her free time, Tucker has taught filmmaking to children and youth at the Harambee School, the Bill Duke Youth & Media Bootcamp, Diamond in the Raw Foundation, Hillside Arts Academy and the Make a Film Foundation. Next up, she is excitedly planning her feature film directing debut with Born Again Virgins, a romantic comedy she also penned. Albert Yee holds a B.S. and M.S. from Stanford University and Ph.D. from University of California, Berkeley. 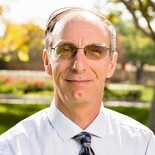 He comes to Biola from William Jessup University in Rocklin, Calif., where he taught mathematics and physics. Prior to that, he worked as an R&D engineer for two decades, in industries ranging from industrial robotics to medical devices. He is particularly interested in water purification, appropriate technology and human-powered vehicles. Yee and his wife, Angela, have two college-aged children, Daniel and Megan. His dream in Christian education is to model a life where faith and scientific inquiry happily support one another, and nurture students so they better love God with their minds, hearts and souls. "The Christian univerisity provides a setting for the thinking Christian to safely and productively callenge their own belief systems. As they learn to question themeselves and others, students explore how God manifests Himself in individual disciplines, and how He authors all life. The integration of faith and learning, therefore, is not limited to a method of adding spirtual pursuits to academic study; it is also a process of discovering and recognizing the hand of God which already exists in all feilds of academia." 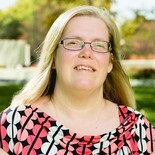 Christi grew up in California’s central valley, and came to Biola as a student in 1992 where she earned both her BA in English Education and her MA in Education. She worked as a high school English teacher for 6 years, then as an adjunct in both the School of Education and the English Department. She is passionate about teaching methodology for developing writers, and Biola’s approach to integration of faith and learning. Christi and her husband, Phil, have two children, Allyson and Micah. The Watson family loves to be together enjoying outdoor activities (especially at Hume Lake), the VBS program “Adventure Week” at their church, and sports. They also spent time traveling through eight states across the US this year. James Petitfils holds a B.A. from Biola University, M.A. from Talbot School of Theology and an M.A. and Ph.D. from University of California, Los Angeles. He completed his Ph.D. from University of California, Los Angeles, in 2013, writing a dissertation exploring ancient Roman, Jewish and Christian discourse on exemplary leadership. Petitfils’ research interests include storytelling and moral formation in the Roman Mediterranean, early Christian martyrdom and leadership in the New Testament and early Christianity. Along with research and teaching, he has been a pastor in the South Bay for more than 15 years, currently serving as a teaching pastor at the River Church. He has been happily married to Braelyn for over 10 years and together they have a beautiful daughter, Micelli, 5, and a little beach boy, Brixton, 2. 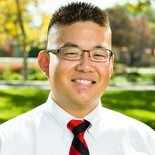 Beyond Biola, he enjoys surfing, family beach days and burritos. 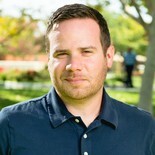 Kyle Strobel teaches spiritual theology for Talbot’s Institute for Spiritual Formation and Spiritual Formation Focus programs. His areas of interest include systematic theology, Jonathan Edwards, spiritual formation and prayer. He holds two master’s degrees from Talbot School of Theology: an M.A. in philosophy of religion and ethics and an M.A. in New Testament. He also holds a Ph.D. in systematic theology from the University of Aberdeen, and has served as a fellow at Yale University’s Jonathan Edwards Center. He writes both popular and academic books and articles, having published in the Harvard Theological Review, Journal of Spiritual Formation & Soul Care and Relevant Magazine. 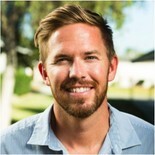 Strobel and his wife, Kelli, have two children, Brighton and Oliver, and live in Fullerton, Calif.
Thaddeus Williams loves enlarging students’ enjoyment of God through his teaching ministry at Biola University as well as his local church. His publications and research interests center on God’s rationality, grace, creativity, sovereignty and Trinitarian love, with a focus on how these theological realities shape church, culture and Christian spirituality. 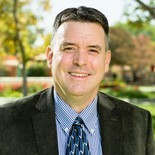 His teaching experience includes such classes as History of Atheism in the secular college context, Jurisprudence at Trinity Law School, Christian Worldview and Sexuality for the Blackstone Legal Fellowship, and Cultural Apologetics for Francis Schaeffer’s L’Abri ministries in Switzerland and the Netherlands. Williams lives in Orange County with his wife and three daughters.